Allowing our kids the freedom to feel. "If I can’t keep my temper in check at all times, I don’t expect my children to have perfect emotional control. If I can’t watch my tone and speak with a kind voice always, how can I expect my little ones to manage this? We expect these little children with their underdeveloped brains and limited life experiences to behave better than grown men and women. And if you don’t believe me, listen to the next presidential debate or spend some time scrolling your social media newsfeeds." Let's examine our expectations....are they reasonable? 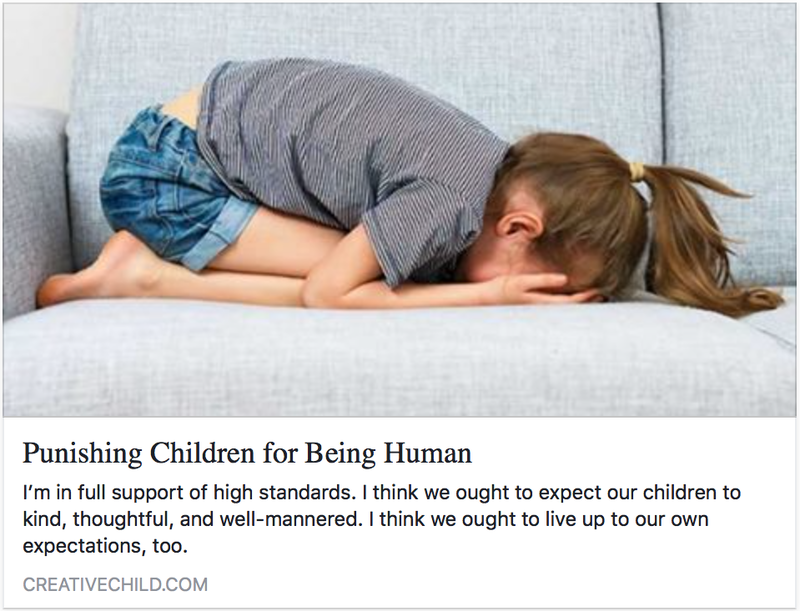 Are we allowing our kids the freedom to feel what they are feeling? Better yet, are we modeling what we want to see?